The Bozeman Symphony Orchestra will perform two free family concerts: 10:30am and 1pm on Saturday, February 9th at the Willson Auditorium located in downtown Bozeman. Each performance is 50 minutes in length and will feature a kid-friendly, fun-filled program titled Matthew Potter and the Tuba of Fire written by Matthew Savery and Soren Kisiel of Broad Comedy and starring Paige Johnson of the Verge Theater. 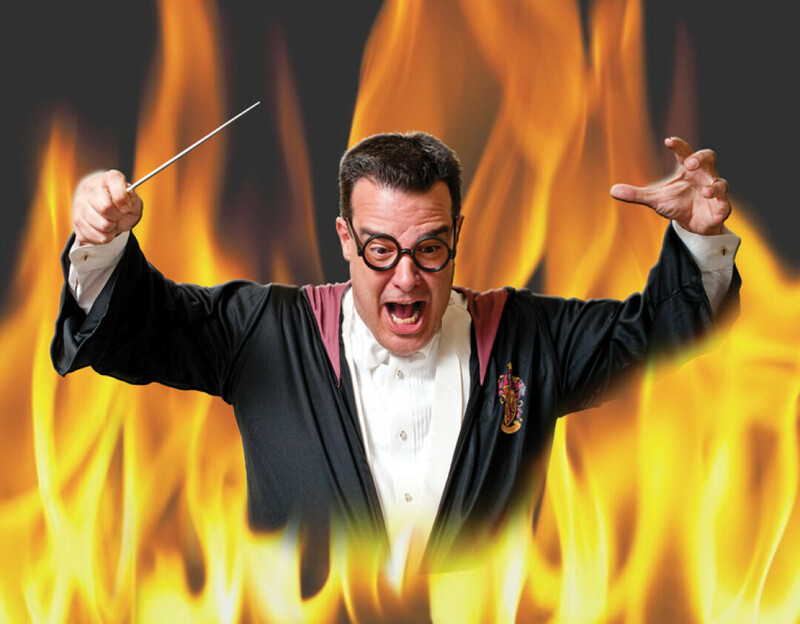 With guest appearances by Dumbledorff, Matthew Potter, Flying Monkeys, the Phantom of the Opera, and an invisible conductor taking the stage, this program is sure to delight audiences of all ages. The concerts feature popular music from Harry Potter and the Sorcerer’s Stone, The Wizard of Oz, The Sorcerer’s Apprentice, and more. Before the musical adventure with the orchestra begins, an instrument petting zoo, courtesy of Eckroth Music, will be available. Kids and kids at heart are encouraged to enjoy this hands-on learning of the instruments that compose a symphony. A special presentation of Matthew Potter and the Tuba of Fire will be presented on Friday, February 8th, 2019, for fourth graders in the Bozeman Public Schools and surrounding areas. This performance is aimed to inspire young people to become life-long lovers of the performing arts. These concerts would not be possible without strong community support and sponsorship. Thank you to David and Risi Ross for their season sponsorship, and to the Gilhousen Foundation and Montana Cultural Trust for sponsoring these performances. Tickets may be reserved for free online at bozemansymphony.org or over the phone at 406-585-9774 and will be held for pickup at the Bozeman Symphony Office as late as Thursday, February 7th. The Symphony office is located at 1001 West Oak Street, Suite 110, Building C, Bozeman, 59715. Office hours are M-F, 9am - 5pm.